The mission of the Environmental Alliance for Senior Involvement is to build, promote, and utilize the environmental ethic, expertise, and commitment of older persons to expand citizen involvement in protecting and caring for our environment for present and future generations. 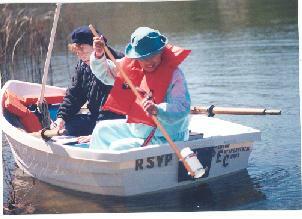 Volunteers in Senior Environment Corps™ (SEC) organizations in every state and 20 foreign countries carry out a wide range of environmental activities. 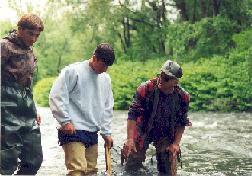 PaSEC volunteers in 51 of PA's 67 counties monitor the quality of the state's streams and rivers and conduct restoration and education programs. partnered with Oklahoma Blue Thumb, SECs monitor water quality and educate their communities about protecting their drinking water. Nine VSECs are now operational in 8 watersheds throughout Virginia. 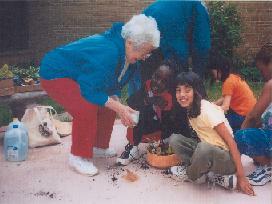 EASI's Senior Environment Corps model is the basis for programs around the world. Newt and Lois Carleton of Texas are among the many EASI ambassadors helping train SECs across the country. Volunteer Senior Ranger Corps™ members are providing essential assistance in 13 national parks. EASI DOES IT at our national parks, at Superfund sites, at threatened wetlands, farmlands and wildlife habitats, at streams and rivers, and in the classroom, one community at a time. More than 300 public and private agencies help fund and direct programs. For a look at all EASI programs, click here.